A sire's pedigree, proven speed and type to boot! You don't have to be into colour to be into this amazing horse. 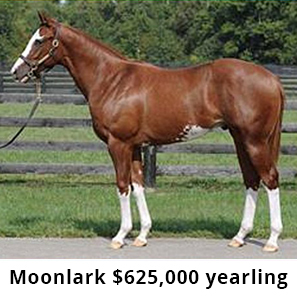 Moonlark is all blueblood and sold for $625,000 as a yearling. Moonlark was a multiple racewinner with prizemoney of over AUD$100,000.00 before retirement (injury). 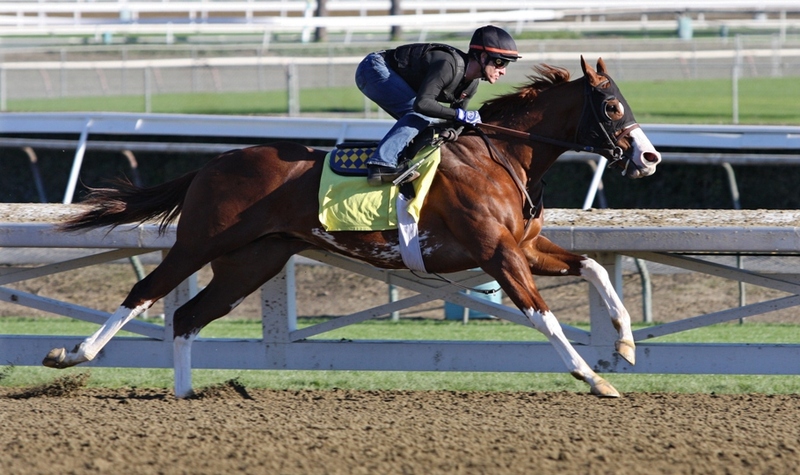 He was the fastest horse 5½f Hollywood Park 2010 with a time of 1.02.66 (eased to the line and just outside the track record of 1.02.03). See video second below. He beat Mulitple Group Winning Irish horse Stoneside by 6½ lengths in that race who went on to win 11 races and USD$618,000 in prizemoney. Injury reigned supreme for Moonlark's shortened career though thankfully not before his World Class speed and turn of foot was evident. 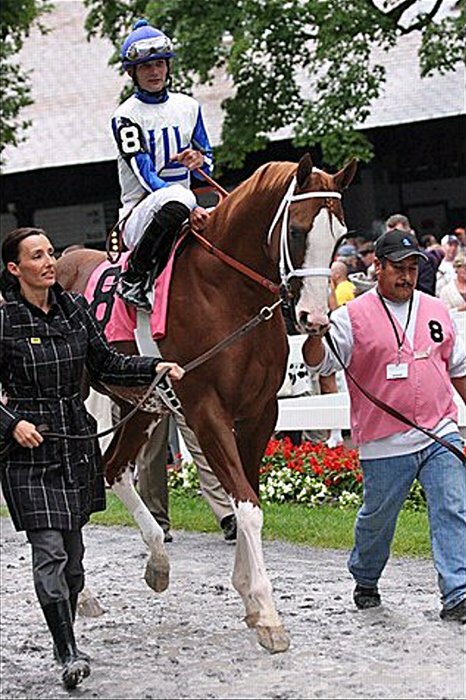 All of her half brothers are black type including Sing Baby Sing $485,000, Value plus $415,000; Majorbigtimesheet $323,000; Roll Hennessy Roll $173,869; Werblin $120,615; Morocco $133,640 AND ALL ARE SIRES IN THE USA. ROLL HENNESSY ROLL and VALUE PLUS have produced outstanding records of 73.9% and 74.3% respectively in producing winners to runners. His broodmare sire Phone Trick 10:9-1-0 $395,112 is also the sire of the 1997 USA Horse Of The Year Favorite Trick undefeated 2yo in 8 starts & $1.7Million. Favorite Trick’s maternal sire is Medieval Man - by the Aussie Horse Noholme (Star Kingdom). 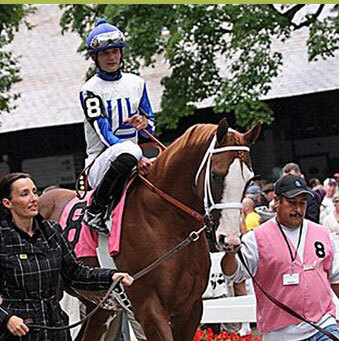 Phone Trick is also the sire of Eclipse Champion 2YO Filly, Phone Chatter 15:5-3-1 & $838,742. 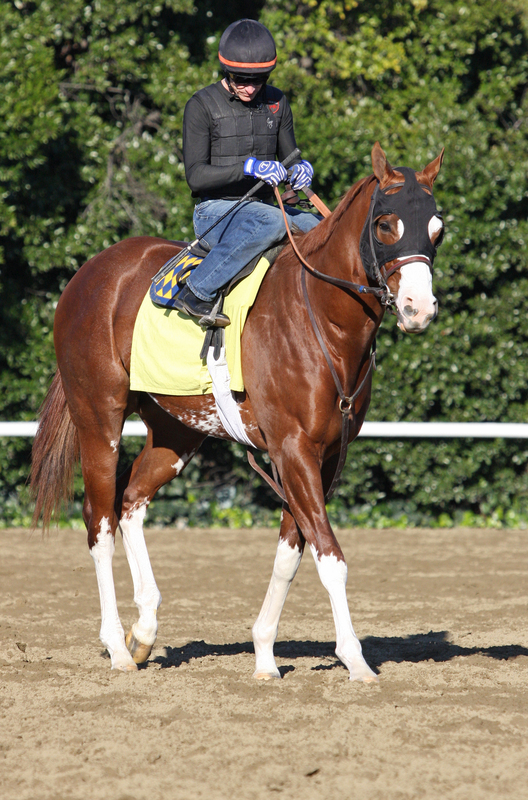 At 2: Won Breeders' Cup Juvenile Fillies [G1], Oak Leaf S [G1], Sorrento S [G3]. 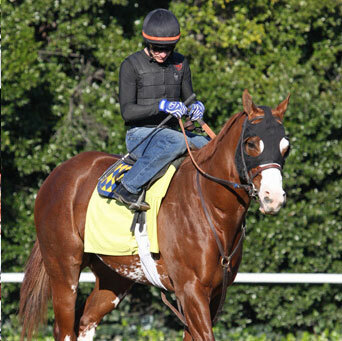 She was the sale topper at the 11/01 Keeneland sale selling for $3.6 Million. Moonlark shares Phone Trick as his broodmare sire with Darley's stallion Dawn Approach who stands for $27,500 service fee. Moonlark's second dam a 10 times racewinner & Million$ broodmare. She is by Rollin On Over - Ohio Horse of the Year in 1983 and Champion Two-Year Old of 1982. Won last 9 starts of 1983 incl. 8 stakes. Won 9 stakes in Ohio in 1983 to break Royal Harmony's Single-Season Record of 8 stakes wins for an Ohio-Bred. Moonlark’s sire Gone West (Mr Prospector) is also the sire of Ellusive Quality - sire of Sepoy (Sepoy 12:10-1-0 $3.9Million Dollars in Stakes. Sepoy being Australia’s best 2yo sprinter and stands at stud at $66,000 service fee) Gone West is also the sire of Zafonic, Champion Two Year Old Colt in Europe & England & sire of Xaar (GB). Also sire of Speightstown - one of the hottest US sires right now with a fee of US$80,000 and a strike rate of 80.5% winners to runners. Moonlark is an ideal sire of Australasian breeders As a representative of Mr Prospectors strongest sire line, as a brilliant sprinter in his own right, and a a beautifully conformed individual. He will cross exceptionally well with any Northern Dancer / Danehill line mare. Standing at stud from 2015 season for $7700 ASB TB mares. Please fill in the application form to nominate your mare this coming season. future foals colour possibilities or anything else. 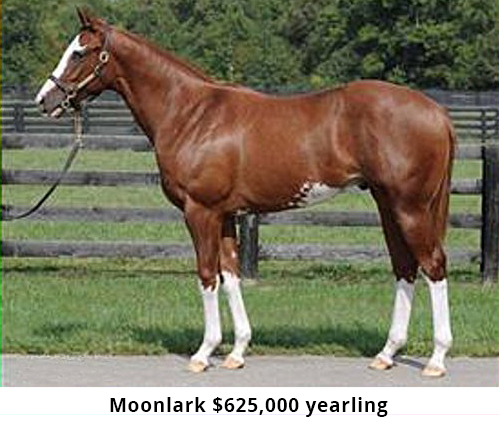 Moonlark was standing at stud $7700 ASB TB mares.